Places of Fancy: Where Is Lars Homestead in 'Star Wars'? Where Is Lars Homestead in 'Star Wars'? Tracing the home of the universe's most famous 'moisture farmers' brings us not to a galaxy far, far away but in Tunisia. 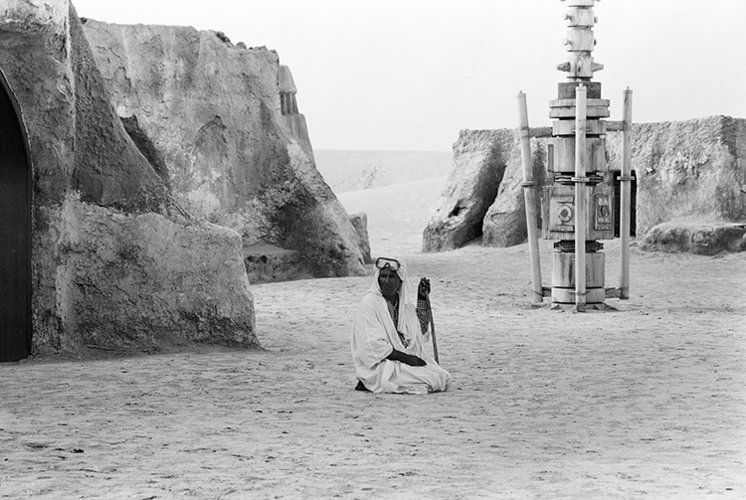 George Lucas decamped to the North African nation—pre-Arab Spring—to shoot scenes set in the two-sunned planet Tatooine. For Lars homestead, residence of prophesied messiah Luke Skywalker and adoptive parents Owen and Beru, the salty wastelands of Chott El-Jerid in Tunisia fit the bill. Any Star Wars fan would know this. But it takes a certain caliber of fanaticism to actually save the beloved set, with its iconic igloo-like entrance, tall 'vaporators,' and gaping crater. In 2012, Belgian Star Wars stan Mark Dermul and friends raised funds to restore the abandoned, deteriorating set, a move applauded by Lucasfilm itself. Meanwhile, the Hotel Sidi Driss staff have done a swell job of maintaining the other Lars homestead set. The famous courtyard in the crater was not filmed in Chott El-Jerid but 250 km away in the town of Matmata. The set has since been converted into the hotel: For $10, you can have bed and breakfast fit for a Jedi. 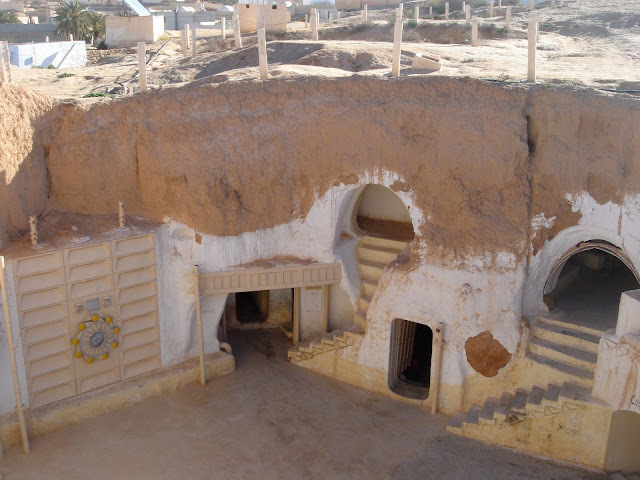 You can find still more vestiges of Star Wars at Tunisia. With its sheer number of galactic filming locations, the country must already be swarming with midi-chlorians.